Back from Bushey and the Lincolnsfields Children’s Centre! Me in my A2 Flying Jacket! What a fantastic weekend it’s been! 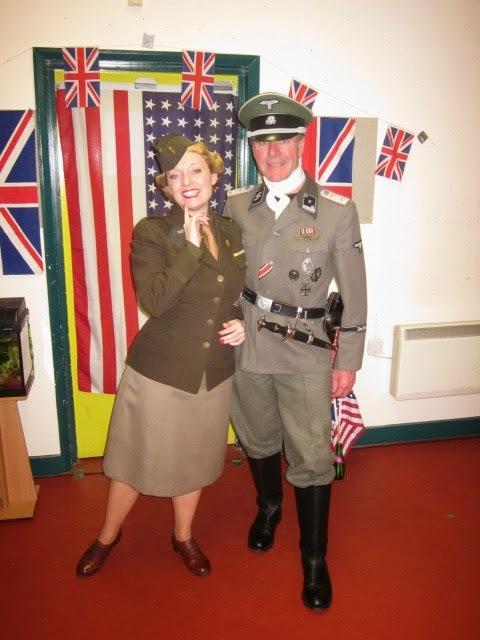 I’m just back from performing at The Lincolnsfields Children’s Centre in Bushey for the 40s Family Experience and it’s been one of those weekends where everything has gone beautifully to plan. We were a little worried about the weather but as it happens apart from some rain before the event opened on the Sunday we didn’t get any rain at all. So who could ask for anything more! For those of you who don’t know The Lincolnsfields Centre is the WW2 heritage site which was once the command HQ for the USAAF 8th Fighter Command. 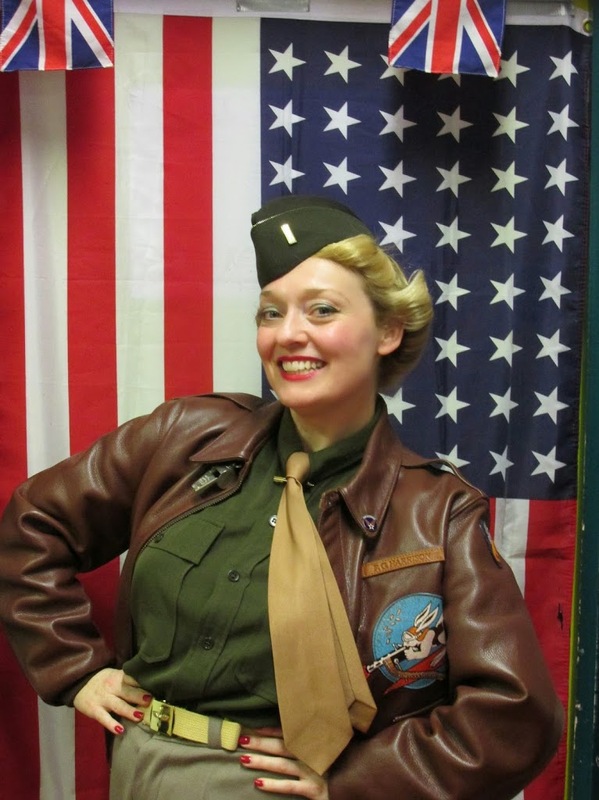 So this weekend I have been sporting quite a few different American uniforms and shows from US WAVES to WAC and I even finished off my last Lindy Hop show in my A2 flying jacket. Many thanks to Tom Brennan who sent me this photo. This shot was taken just after I came off stage on Sunday with the Swingsters Mike and Mel and boy did we get the joint swinging! Thank-you every-one who came to the show and to the Swingsters for organising the Saturday night dance. What a great event! Paul – The World Famous Unknown Bathroom Singer! In fact this weekend has been non stop. I was booked to perform 3 shows daily + the Saturday Night Dance but this year I had some help from my friend Paul who not only did a fantastic job as my sound engineer but sang too. Paul is secretly known as the World Famous Unknown Bathroom Singer and does a pretty mean Frank Sinatra which the ladies just loved of course! I’ve been teaching him sound as I’m quite the stickler and there is a reel art to it which Paul is picking up splendidly. Thank-you for all your help Paul you were fabulous! What was lovely about this weekend was the number of people who came especially to see me – including Brian the friendly German from Mansfield. Brian discovered my videos by chance on You Tube and has now started to follow my carear. Me with Brian from Mansfield! I was really thrilled to see the Polka Dot Dolls who came to see me on Sunday. 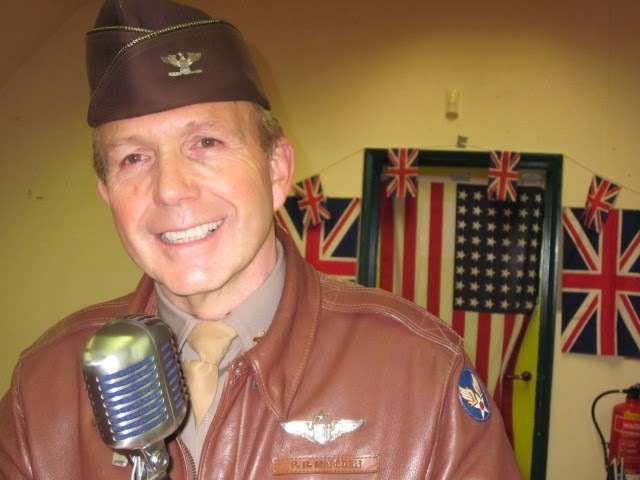 I’d had the pleasure of working with The Polka Dots at Chatham’s “Salute to the 40s” weekend a couple of times and I’m really looking forward to working with them again later this year. I also saw my friend Gail and James and not forgetting Maud who came and saw me at the Saturday Night dance which was where we met a couple of years ago at one of Mike and Mels Sunday afternoon tea dances. Thank-you everyone for supporting the event it was lovely to see you all and I know this year we had over a 1000 visitors through the gate so thank you. I’ve been checking through my analytics data and I can’t believe that last week over 4000 people read my face book posts. I’m sure that can’t be right and maybe I’m mis reading the information but either way thank-you for following and for your kind comments about my Best of British article on WW2 woman’s uniforms. Do look out for my next article which will be in Octobers issue and this time I will be writing about Music Hall Songs and how they kept the troops marching during WW1. 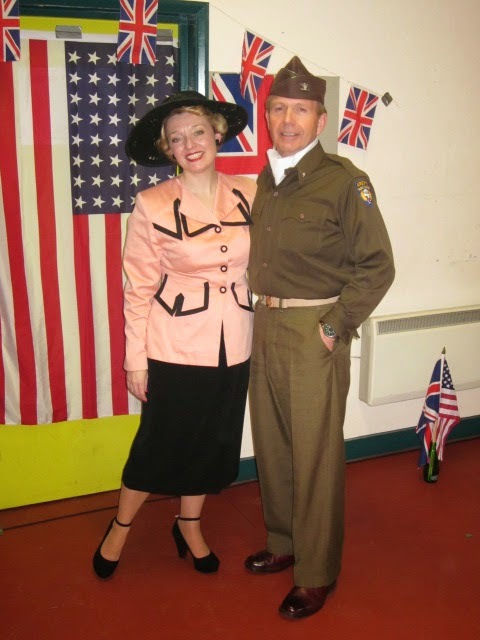 As with any good 1940s event I always like to visit the stalls and this year I treated myself to a couple of new 1940s hats which I shall be taking out to Normandy when I sing for D-Day. I had planed to make myself some but these days I don’t get much time to sew. These hats are just perfect and will go with the jacket I bought at Hammersmith last month so everything is starting to come together for France. Talking of hats today I have been out and about performing my first Easter Bonnet Show of the season and this month I have a real mix bag of shows from Victorian to Rock and Roll. Tomorrow I’m booked to do the 1950s and 60s so time for bed I think. Many thanks for following and Toodle Pip!